In this guide we show you how to open a port for the TP-Link TL-WR841N router. All TP-Link TL-WR841N router have a basic firewall to help protect your home network from unwanted access from the Internet. The TP-Link TL-WR841N firewall blocks connections that you may want or need opened. In order to unblock these connections you need to open a port or port forward. A port forward allows connections on that port to be forwarded directly to your home network. First, setup a static IP address on the specific device you are forwarding ports to. 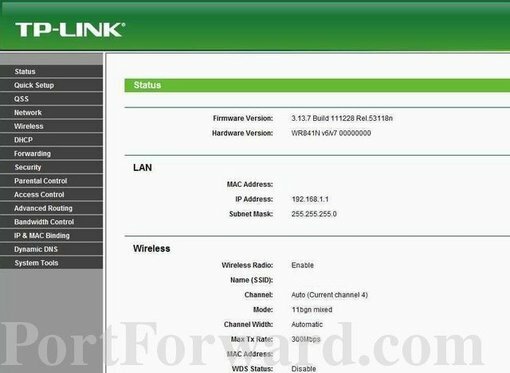 Then you need to login to your TP-Link TL-WR841N router. Finally, create a port forward entry. If this sounds difficult, don't worry, we walk you through every step in order to create a port forward on the TP-Link TL-WR841N router. We can now login to the TP-Link TL-WR841N router. This router makes use of a web interface, meaning you need to login using a web browser. This can be Chrome, Internet Explorer, Firefox or any other browser you want to use. It should not matter which browser you prefer to use. In the image above the address bar has the address of 192.168.1.1 in it. Simply replace all of that with the IP Address of the TP-Link TL-WR841N router. Sometimes a router's IP Address can be referred to as the computer's default gateway. Do you see a box asking you for your username and password? Go ahead and enter the username and password, then click the OK button to access the TP-Link TL-WR841N router. 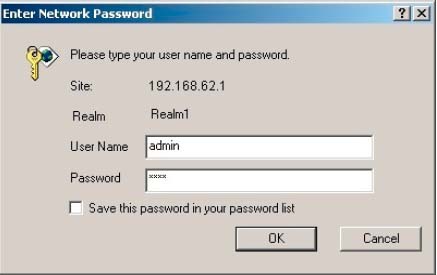 If the username and password did not work we recommend you try other TP-Link usernames and passwords. We have a list of them on our Default TP-Link Router Passwords page. If none of those worked, it is possible you changed the username and password in the past and have forgotten. It may be time to consider a router reset in order to access the TP-Link TL-WR841N router. Learn how to do this in our How to Reset a Router guide. First, click the Forwarding link in the left sidebar. A new menu appears below. Select the option of Virtual Servers. On this new page, find and click the Add New... button. It should be in the center section of the screen. In the Status dropdown box choose Enabled. When you are all done click the Save button. Don't forget to save after each port entry. 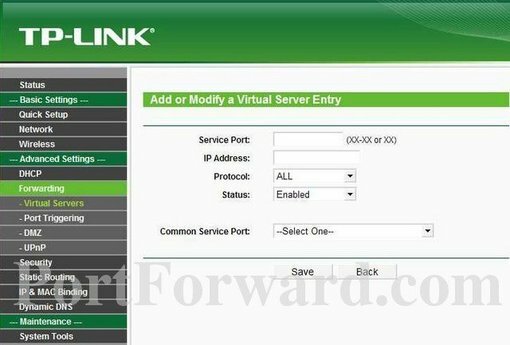 Now that you are done forwarding ports on the TP-Link TL-WR841N router you need to test them in order to see if they were forwarded correctly. In order to do this we have a Network Utilities tool that includes a free Open Port Checker. This Open Port Checker tool is the only one online that that has Guaranteed Results. Learn how to use uTorrent. Check out our large collection of Game Walkthroughs. We also have a huge collection of Router Screenshots.